It was my first time having dim sum at Gingeri. I only ate here once for a Wedding Banquet and it was a great dinner. We tried to go for the dishes labelled ‘New!’. Golden dumplings seemed to be a variation of shrimp dumplings, the golden color was from using corn in the stuffing. 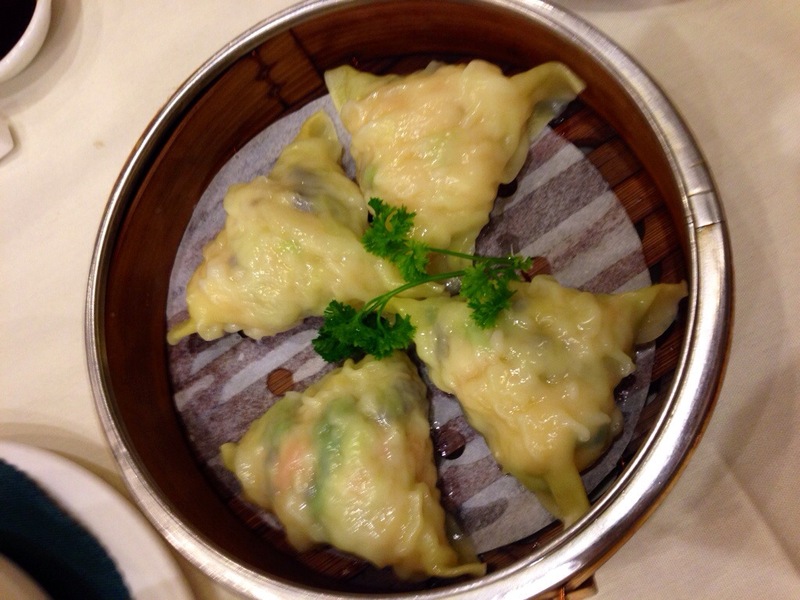 The texture of the wrapper was similar to wonton’s. I really enjoyed these little steamed shrimp and corn wontons, especially with my must-have chilli oil. I would recommend to put a little chilli oil on any types of seafood dumplings at dim sum, enhancing the sweet and fresh seafood flavours. 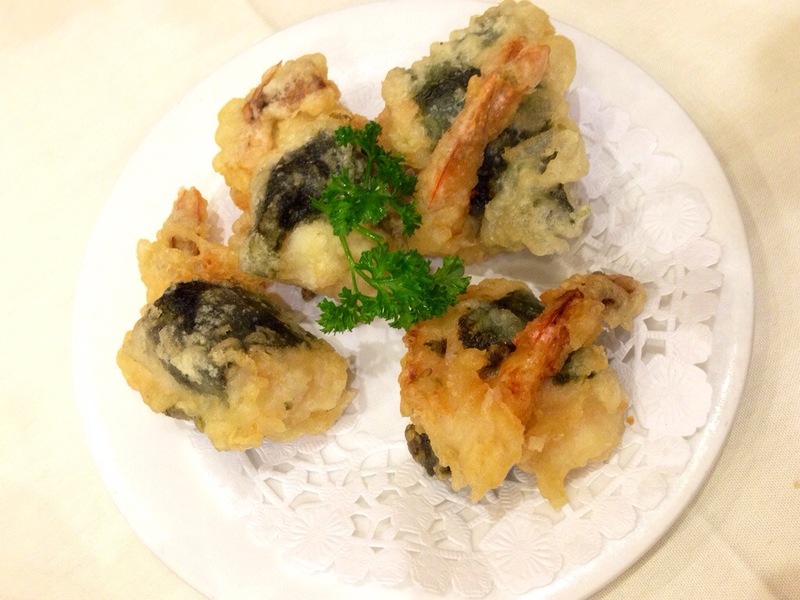 The Cantonese style deep fried prawns were very different from Japanese praw tempura: the batter was a lot thicker. This dish reminded me my childhood favorite dish Deep Fried Oysters, which also always came with Worcestershire sauce. The additional touch of seaweed in the prawns was brilliant making the dish even more delicious. The fried sticky rice flour dumplings were a dim sum classic, but here at Gingeri, they used a mild curry in the dried shrimp stuffing, which was a very nice surprise. 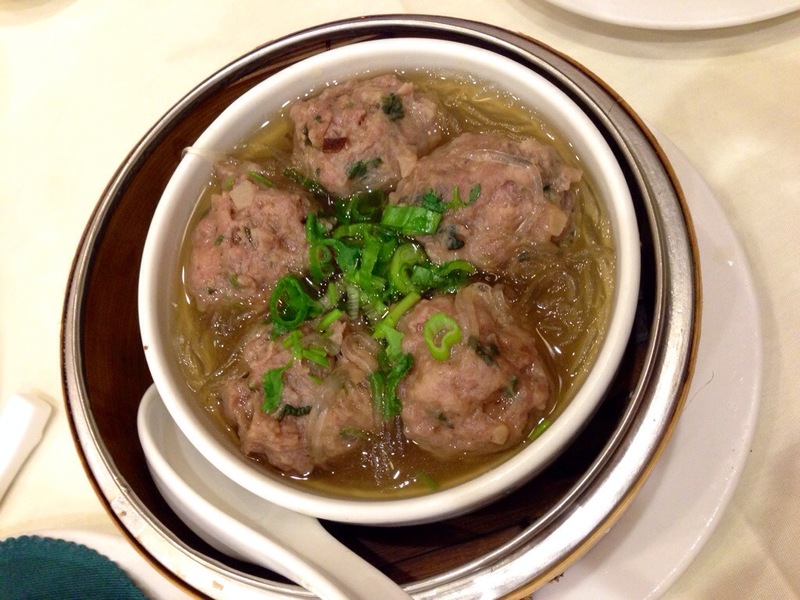 The beef ball dumplings in soup was a variation of another dim sum classic – beef balls. I loved the idea of having it served in the soup with smooth and shiny yam noodles. But somehow they put a little too much dried orange peel in the soup and overpowered all other flavours in the soup. Oh well, I guess not all the dishes have to be perfect. 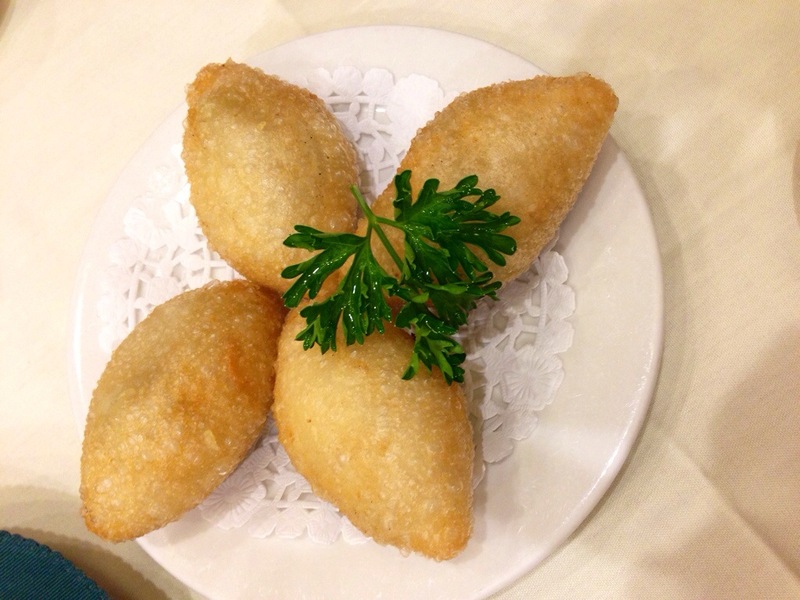 Overall, I quite enjoyed my dim sum experience at Gingeri Chinese Cuisine.